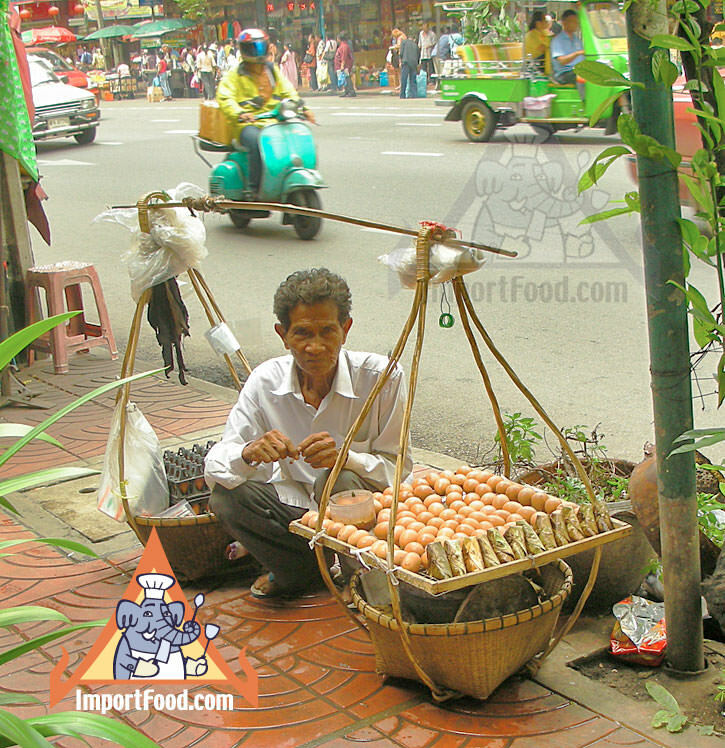 Khao Neeo means sticky rice, Khai means egg, Ping means barbequed. So this is barbequed sticky rice and eggs. 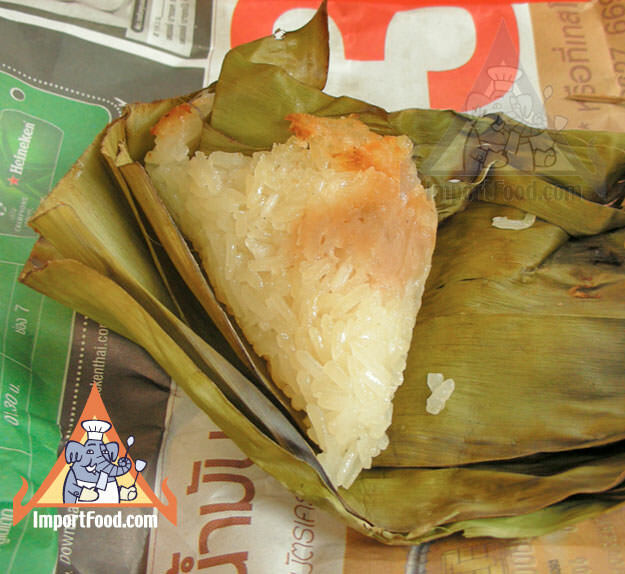 Sticky rice wrapped in banana leaves is commonly served by street vendors throughout Thailand, and this character is an interesting example of how it's sold. The sticky rice is offered in two styles. 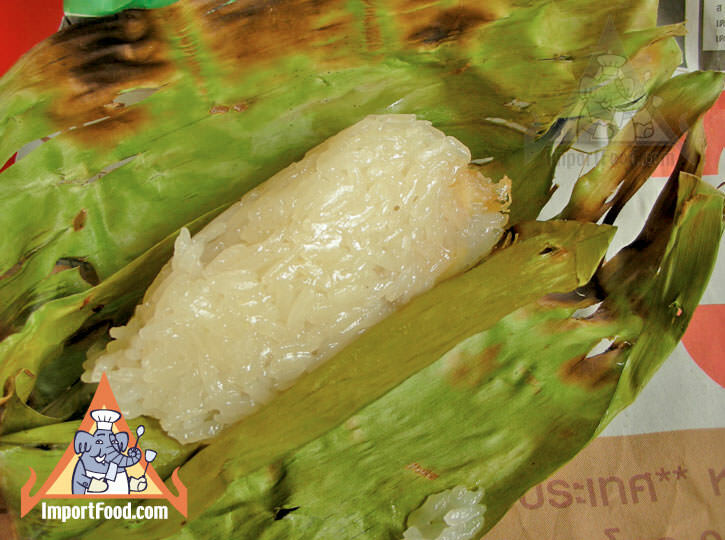 The first, seen at lower left, is cooked sticky rice with a chunk of taro root, wrapped up in banana leaves and barbequed over charcoal (called khao neeo ping sai puak). The other style offered (below) has a chunk of fresh banana, then wrapped and barbequed the same way (called khao neeo ping sai kluay). The vendor here carries two large baskets, each on the end of a bamboo pole. At the forefront you can see eggs resting on a wood-framed, square sheet of wire mesh. Under the eggs is a charcoal barbeque burner which cooks the eggs placed directly over the heat, and you can see the eggs already cooked are placed around the side of the frame. 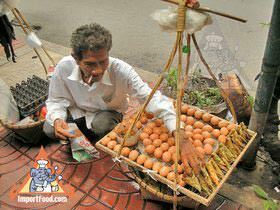 In the rear basket are more eggs. Eggs cooked over charcoal this way are fairly dry, unlike hardboiled eggs which have a more liquid/gelatin consistency. 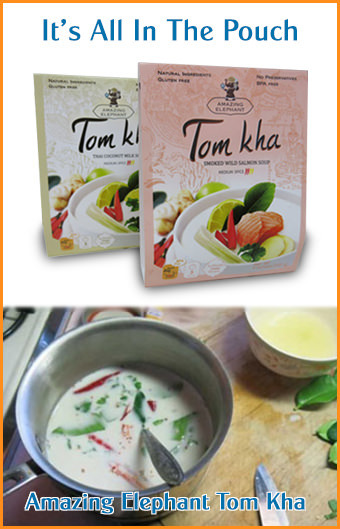 The sauce that you see, which offered with the eggs, is usually a base of Maggi Seasoning and Thai pepper powder.